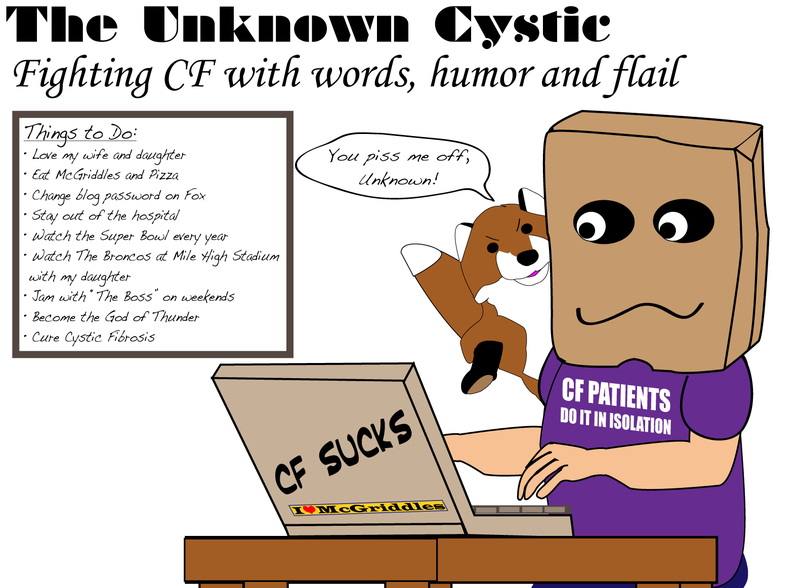 This entry was posted in CF Guy Stuff, cystic fibrosis, Human Nature and tagged Being a fox, cystic fibrosis, For my daughter, Guy Stuff, Human behavior, luck by unknowncystic. Bookmark the permalink. Stacey, Ten out of ten doctors recommend Josh to their patients. Your bill is in the mail. 🙂 Just kidding, dude. Glad you like them. Peaceful things, my bag-headed friend. Josh, Funny because your check is in the mail too. 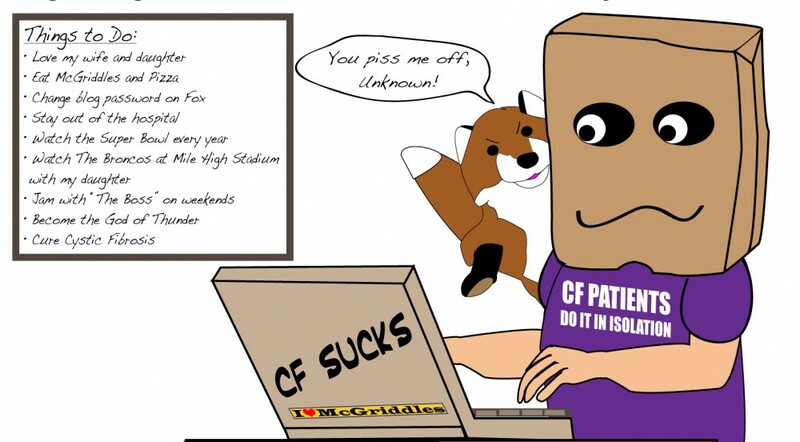 Fox is upset because he said he should be the one at the computer and I’m the puppet. Ronnie, yes, it is good to have Josh on my side. Hope you’re feeling better. Congrats on the pregnancy. Most excellent news.